Fig. 3. Inverse correlation between expression of pja2 and TCF/LEF1. Samples were collected from undifferentiated and differentiated mESCs on the indicated days in the figure, and Western blotting was performed with the indicated antibodies. 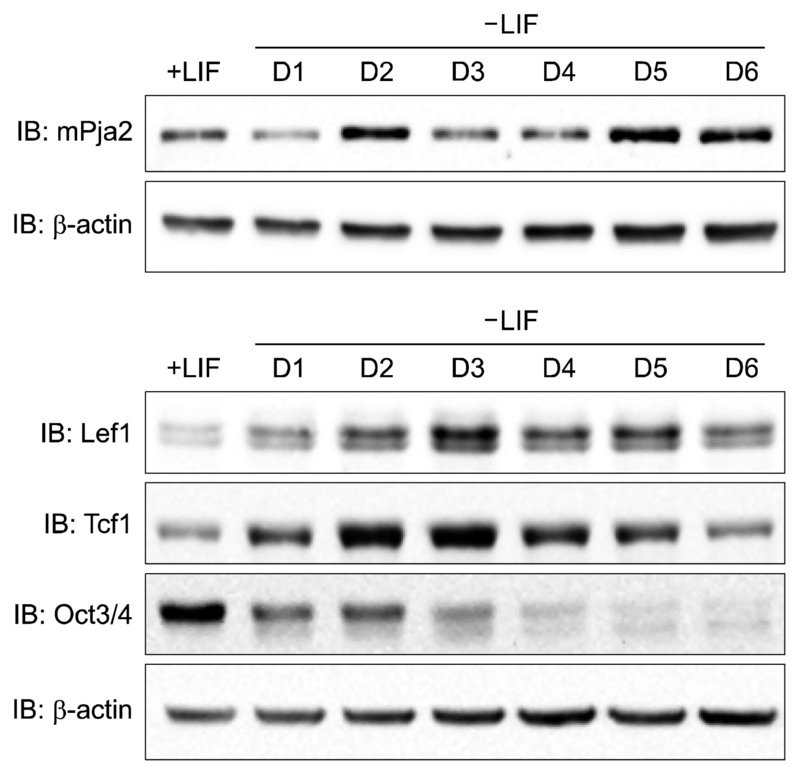 Differentiation of mESCs was induced by removal of LIF from culture media.